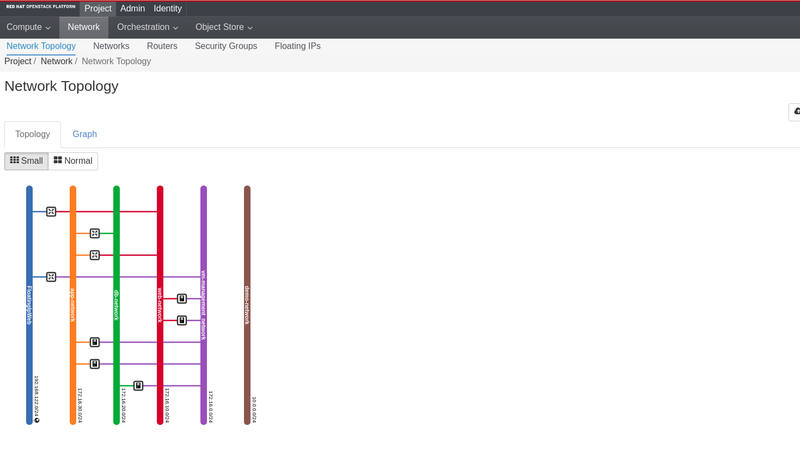 In this blog, I would like to show you how you can create your fully software-defined data center with two amazing Red Hat products: Red Hat OpenStack Platform and Red Hat CloudForms. Because of the length of this article, I have broken this down into two parts. As you probably know, every organization needs to evolve itself becoming a Tech Company, leveraging its own Digital Transformation, embracing or enhancing existing processes, evolving people’s mindset, people’s soft/hard skills and of course using new technologies. Remember we are living in a digital era where if you don’t change yourself and your organization someone will disrupt your business! So, how can I become disruptive in my business? Well, speaking from a purely technical perspective a good approach should consider cloud technologies. These kinds of technologies can be the first brick of your digital transformation strategy because they can grant business and technologies values. In my experience as a Solution Architect, I saw many different kinds of approaches when you want to build your Cloud. For sure, you need to identify your business needs, then evaluate your use cases, build your user stories and then start thinking about tech stuff and their impacts. Remember, don’t start approaching this kind of project from a technical perspective. There is nothing worse. My suggestion is, start thinking about values you want to deliver to your customers/end users. What kind of services would I like to offer? What use cases do I need to manage? Do I need a public cloud, a private cloud, or a mix of them (hybrid)? Do I like to use an instance based environment (Iaas) or containers based (Paas for friends) or a Saas? How is complex is it to build and manage a cloud environment? What products will help my organization to reach these objectives? The good news is that Red Hat can help you with amazing solutions, people, and processes. Now let’s start thinking about a cloud environment based on an instance/VM concept. Here, we are speaking about Red Hat OpenStack Platform 11 (RHOSP). Now I don’t want to explain in details all modules available in RHOSP 11 but basically, just to give you a brief overview, you can see them in the next figure. In order to build an SDDC in a fast, fully automated way, in this blog, you’ll see how you can reach the goal using almost all these modules with a focus on the Orchestration Engine HEAT. HEAT is very powerful orchestration engine that it’s able to build from a single instance to a very complex architecture composed by instances, networks, routers, load balancers, security groups, storage volumes, floating IPs, alarms, and more or less all objects managed by OpenStack. The only thing you have to do is start to write a Heat Orchestration Template (HOT) written in yaml  and ask HEAT to execute it for you. HEAT will be our driver to build our software-defined data center managing all needed OpenStack components leveraging all your requests. This heat stack will create a three-tier application with 2 web servers, 2 app servers, 1 db, some dedicated private network segments, virtual routers to interconnect private segments to floating IPs and to segregate networks. Two lbaas v2 (one for the FE and 1 for the APP layer), auto scaling groups, cinder-volumes (boot-from-volumes), ad hoc security groups, and Aodh alarms scale up/scale down policies and so on and so forth. In this example, web servers will run httpd 2.4, app servers will load just a simple python http server on port 8080 and db server right now is a placeholder. In the real world, of course, you will take care of installing and configuring your application servers and db servers in an automatic, reproducible, and idempotent way with heat or for instance with an ansible playbook. The main HOT template which defines the skeleton of our stack (input parameters, resources type, and output). Hot template to configure our lbaas v2 (load balancer as a service: namespace based HA proxy). This file will be retrieved by the main HOT template via http. A laptop or Intel NUC with RHEL 7.X + kvm able to host two virtual machines (1 all-in-one OpenStack vm and 1 CloudForms vm). I suggest using a server with 32 GB of ram and at least 250 GB of SSD disk. Rhel 7.4 images loaded on glance and available for your projects/tenants (public). Apache2 image loaded on glance (based on rhel 7.4 + httpd installed and enabled). You’ll have to define a virtual host pointing to your web server Document Root. A dedicated flavor called “x1.xsmall” with 2 GB of ram, 1 vcpu and 10 GB of disk. A new Apache virtual host on the rhosp vm to host our load balancer yaml file. Iptables firewall rule to permit network traffic to tcp port 8888. Let’s clone the git repo, doing some modifications and start. If you are executing the heat stack through the bash script run.sh, don’t worry. Run.sh will take care of updating the tenant_id parameter. Otherwise, if you are executing it through CloudForms or manually via heat please update the tenant_id accordingly to your environment configuration. Modify management_network and web_provider_network pointing out your floating ip networks. If you are using just a single external network, you can put here the same value. In a true production environment, you’ll probably use more than one external networks with different floating ip pools. Modify str_replace of web_asg (autoscaling group for our web servers) accordingly to what you want to modify on your web-landing page. After the automatic creation of the tenant (demo-tenant) you’ll see in the output that heat is creating our resources. Clicking on our stack name you will be able to see also all resources managed by heat and their current status (Picture 2). After 10-12 minutes, your heat stack will be completed. In a production environment, you’ll reach the same goal in 2 minutes! Yes, 2 minutes in order to have a fully automated software-defined data center! Let’s check what our stack has deployed going to Network Topology tab. Cool! Everything was deployed as expected. Now you are probably wondering what kind of services are managed by this environment. Now get the floating ip address associated to our web lbaas. So, our external floating IP is 192.168.122.37. Wow, Red Hat Public website hosted our OpenStack! I have cloned our Red Hat company site as a static website so our app and db server is not really exposing a service but of course, you can extend this stack installing on your app/db server whatever is needed to expose your services. This is why I suggested to you to modify str_replace accordingly to what you want to modify on your web page. In this case, I’ve changed the footer to clearly show you what server is answering to our http requests. Download this Kubernetes cheat sheet for automating deployment, scaling, and operations of application containers across clusters of hosts, providing container-centric infrastructure.